Stay informed with engaging articles and blog posts by GSM Outfitters in Sevierville, TN! 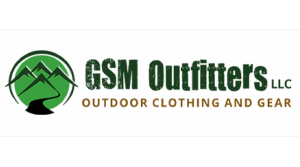 At GSM Outfitters LLC, we've got a wide selection of outdoor clothing in Sevierville, TN for men and women alike. For women, one of the most popular lines of clothing we have is our Mountain Hardwear Dynama selection, which features a variety of pants and shorts for outdoor wear and exercise. Are you shopping for a hiking enthusiast this holiday season? Perhaps you are the one looking to beef up your collection of hiking accessories in Sevierville, TN. Whether your shopping list is for yourself or a loved one, GSM Outfitters LLC has more variety than anyone when it comes to Kavu rope bags and rope slings. These hot items are must-haves for any hiker. Check out some of the top picks for this season. Stop in to discover our entire selection. Where are you shopping this holiday season? When it's time to get the hiking gear in Sevierville, TN that's on your list, shop local. Why? You'll enjoy multiple benefits as you invest in your local economy. Shop local, get away from the crowds and horrible parking, find unique memorable gifts, and save time and money at GSM Outfitters. At GSM Outfitters you can always find those perfect stocking stuffers. Shopping at GSM Outfitters also supports the local economy. Click here to read more.